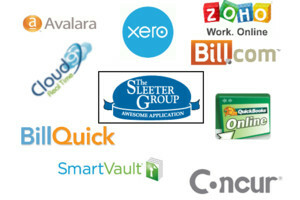 The Sleeter Group, a company dedicated to studying the market to find the best solutions that help small businesses work smarter, faster and more profitably, announced the winners of the 2013 “Awesome Applications” awards last week at their Ninth Annual Accounting Solutions Conference. The awards recognize technologies that help small businesses be more efficient and productive, and also integrate with common business accounting and management systems. See – Cloud9 Wins Sleeter Awesome Apps Award! Now in its 8th year, the Awards, formerly called “Awesome Add-Ons,” are presented annually by The Sleeter Group, the nation’s largest network of small business technology consultants. This year marked the first time that crowd-sourced voting was included in the selection process, with more than 170,000 online votes cast. The voting accounts for half of the selection process, with the other 50 percent based on judging by an expert panel (www.sleeter-awesome-apps.com). The full roster of winners of the 2013 Awesome Applications honor are: Avalara.com (www.Avalara.com ) for their AvaTax automated sales tax compliance system; the Bill.com(www.Bill.com) cash flow command and control system that manages accounts payable and receivable for businesses of all sizes; BillQuick from BQE Software (www.BQE.com), an integrated solution for time and expense tracking, billing and project management; the Virtual Server Solution from Cloud9 Real Time (www.Cloud9realtime.com), an all-inclusive solution to host all the clients applications, data and users in one central location; the Concur Small Business edition (www.Concur.com), which offers expense management and reporting for small and mid-sized businesses; SmartVault (www.SmartVault.com), an online storage and collaboration system that includes custom branding for accountants and consultants; QuickBooks Online (www.QuickBooksOnline.com), the leading online financial management solution for small businesses; Xero (www.Xero.com), an easy-to-use online accounting system for small and medium sized businesses; and Zoho CRM (www.Zoho.com), an online and mobile platform for building, maintaining and strengthening client relationships. To qualify for the Awesome Applications honor, technologies must integrate with common business management systems and provide intuitive design, ease-of-use and conformance with appropriate accounting and security standards.